At left is the Java Jays location in the Student Center, while the “Adrienne’s” location selling Starbucks products will be situated in the Regier Atrium inside the newly opened Shari Flaming Center for the Arts. Can the two coffee bars financially co-exist? The new Shari Flaming Center for the Arts, which features a coffee shop that serves Starbucks coffee and products, has created a flurry of activity on the Tabor College campus and in the larger Hillsboro community. The activity includes many conversations, questions and rumors about the fate of Tabor’s student-run coffee shop, Java Jays. In short, Java Jays will still be open for business once the new shop opens in the Center for the Arts. However, the presence of another coffee option on campus will have an effect on Tabor’s current coffee hub. Tabor administration has requested that Java Jays co-managers discontinue their morning hours, which will conflict with the hours of the new Starbucks. Java Jays currently is managed by three Tabor students: Molly Wiebe Faber, Austin Calam and Michael Prichard. Both Wiebe Faber and Calam said the timing of the new building is unfortunate since Java Jays’ recently added morning hours had become quite successful. 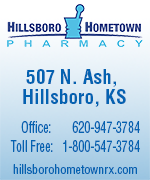 Tabor College President Jules Glanzer said the inclusion of a coffee shop in the plans for the new building stemmed from the former inconsistency of the student-led nature of Java Jays and from the desire to make the new building a place that brings the Hillsboro community onto the Tabor campus. But he also echoed the unfortunate timing of Java Jay’s recent success. “We started raising money for (Starbucks) and put it into the plans when Java Jays was very inconsistent, and all of a sudden, Java Jays started being managed well and being consistent,” Glanzer said. Still, Glanzer believes the new Starbucks will offer consistency, status and atmosphere that Java Jays lacks. “Starbucks will be consistent, and it hasn’t been that for Java Jays in the past until recently,” he said. “Secondly, (Starbucks) has a brand name that everybody recognizes, and Java Jays doesn’t. 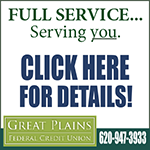 Calam said he believes Java Jays does offer consistency and a comfortable atmosphere. “I think we have that space now, in all honesty, and I think if we got support to build that up, it could continue to be that way,” he said. Wiebe Faber said the current managers have focused a lot of their energy on making the physical space of Java Jays a place for students and the community. “When I think about all of the thoughts that have gone into this space and wanting a place for community members, all of that planning happened years ago,” she said. Despite this, Glanzer, Calam and Wiebe Faber all said they believe that the Tabor campus will be able to support both coffee shops. “Java Jays has been, for many, many years, an evening-only shop, and it’s still here,” Calam said. Wiebe Faber said the student ownership of Java Jays will continue to be an asset. “I think it’s nice since students are running the coffee shop, and students talk to other students, then you hear if a drink is bad or if they want something different or if they want a new flavor,” she said. The new Starbucks will be called “Adrienne’s” after the donor’s late wife. 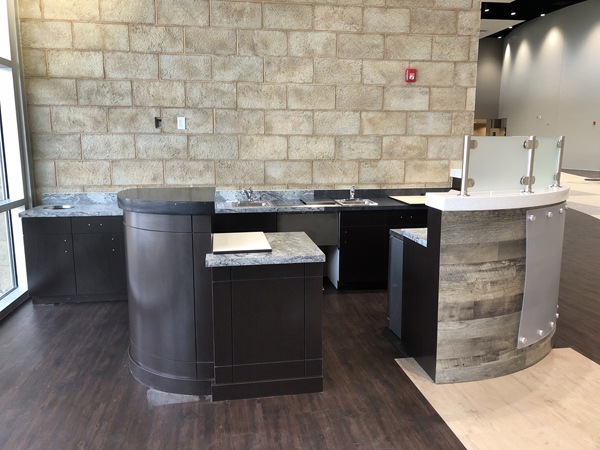 The hours and official opening date are still being finalized, but Glanzer said he anticipates the store will be open from 7 a.m. to 3 p.m.
Former Tabor student Emma Roberts has been hired to manage the new shop. Roberts said the shop will operate under the “We Proudly Serve Starbucks” label, and she will serve packaged foods and coffee from Starbucks, including Starbucks menu staples such as Frappuccino. 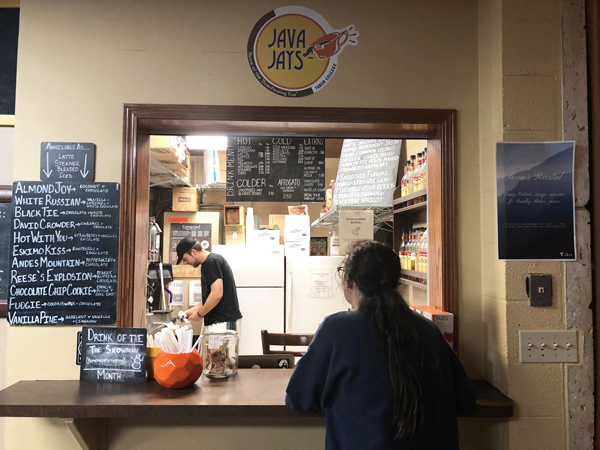 In the evening, Java Jays will continue its original hours of Monday-Thursday 8-11 p.m.
As Java Jays transitions to its new normal, Calam and Wiebe Faber said they hope students and community members will continue to support the shop. Bailey Kaufman, a Hillsboro native, was editor of the Tabor View her senior year. She also has been writing the monthly “Hori­zons” column for the Free Press.